Last updated: July 18, 2018 at 5:56pm by Savanah – An online gambling bill in Rhode Island is anticipated to be introduced sometime this year, which could include poker and casino games. The Newport racino will move to a new $75 million casino in Tiverton, to compete with neighboring competition near the Massachusetts border, after voters passed it by a 55% to 45% margin on the November 8, 2016 ballot. The Twin River casino will be building a hotel to its casino and it’s scheduled to open sometime this summer. Twin River recently opened a poker room with 16-tables and it’s the state’s only one. Interesting tidbit – the third largest revenue source for the state of Rhode Island is gambling which accounts for $370+ million. 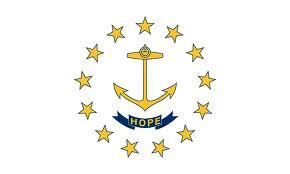 Rhode Island is a very small state, both in land mass and population, which makes it difficult for them to offer many forms of gambling. For example, the state does not have any commercial or Indian casinos; more on this later in the article. All state laws regarding gambling are defined differently in their definitions. Rhode Island’s definition isn’t as clear as some other states, but all states offer a wide interpretation to what the law actually means and enforces. Although it mentions, “Not limited to”, it does not specifically point out poker, or playing poker over the internet for that matter. This will be discussed more in the next section. Can I Play Poker Online in Rhode Island? The answer to this questions is, yes you can. There are still several poker sites that cater to USA/Rhode Island poker players. The bigger question is if you can play poker online legally. This question is a littler trickier to answer but no law in Rhode Island specifically mentions that it is illegal to play poker over the world-wide-web. Also, we have not found any person to be arrested, fined, and/or sentenced to jail for doing so. 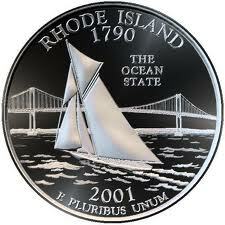 Since Rhode Island is small in population, it doesn’t make a whole lot of sense for them to regulate and tax online poker within their state. Other more populated states are starting to regulate internet poker where people living in that specific state can play poker online completely legally against other people living within that state. With that being said, it doesn’t look like Rhode Island will jump on that band wagon anytime soon. What Forms of Gambling are Offered Legally? State Lottery – Legislation was passed in March of 1974, and the Lottery began in May of 1974. The Rhode Island Lottery is run by the government of Rhode Island and is a charter member of the Multi-State Lottery Association (MUSL). Their games include Mega Millions, Powerball, Wild Money, keno, and scratch tickets. Rhode Island’s State Lottery website does a great job of explaining and breaking down where the money goes from lottery purchases. You must be 18 years of age or older in order to play. Pari-Mutuel Wagering – Rhode Island has two pari-mutuel facilities which also have video lottery terminals that are run publicly, with distributions of revenue to operators. The current tax rate is 27.53% of gross gaming revenues. Charitable Gaming – The Rhode Island General Assembly charged the Division of State Police with the regulatory enforcement of all charitable gaming except bingo in 1979. Bingo was later added in 1983 after legislation was passed. Since 1993, raffles, bazaars, and bingo are the only charitable gaming activities allowed for the citizens of Rhode Island.